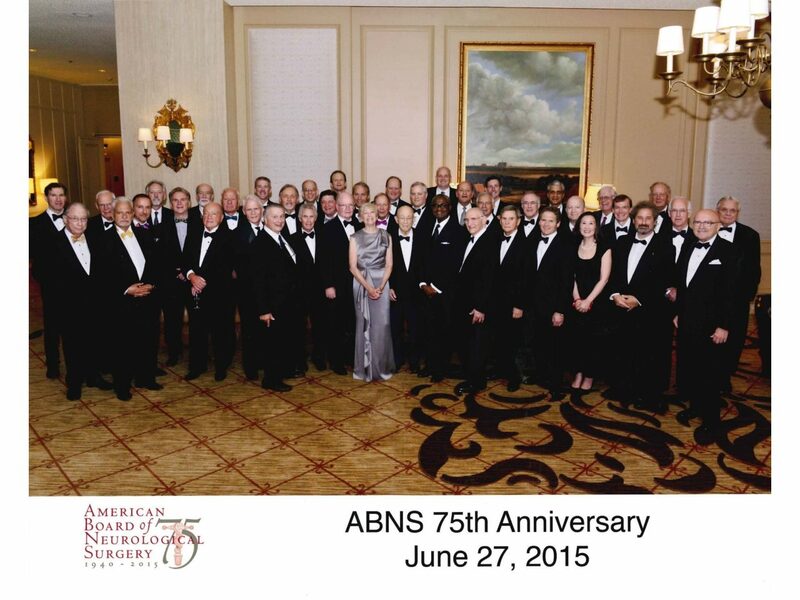 Representatives from The Society of Neurological Surgeons and the Harvey Cushing Society (now the American Association of Neurological Surgeons (AANS)) recognized the need for detailed training and special qualifications for the practice of neurosurgery and held an informal gathering on March 27, 1939, to discuss the concept of a board. Those in attendance were Drs. Alfred W. Adson, Paul C. Bucy, Winchell McK. Craig, Loyal Davis, Howard C. Naffziger, Eric Oldberg, Max M. Peet and R. Glen Spurling. This group of individuals was later enlarged to include representatives from the Section on Nervous and Mental Diseases and the Section on Surgery of the American Medical Association (AMA), the American Neurological Association (ANA) and the American College of Surgeons (ACS). On November 19, 1939, the first preliminary meeting was held at the Palmer House in Chicago, Illinois. In attendance to those previously mentioned were Drs. Leo M. Davidoff, Temple Fay, Tracy J. Putnam and Ernest Sachs. Naffziger was elected as chairman, Adson as vice-chairman, and Spurling as secretary and treasurer. A second preliminary meeting of the same group, with the addition of Dr. Byron Stookey, was held on April 28, 1940, at the Park Plaza in St. Louis, Missouri. Individuals in attendance at the second preliminary meeting were designated directors of the corporation. The group unanimously decided that a separate board should be formed for certification in neurological surgery and guidelines were established to grandfather neurosurgeons who could be certified without examination.